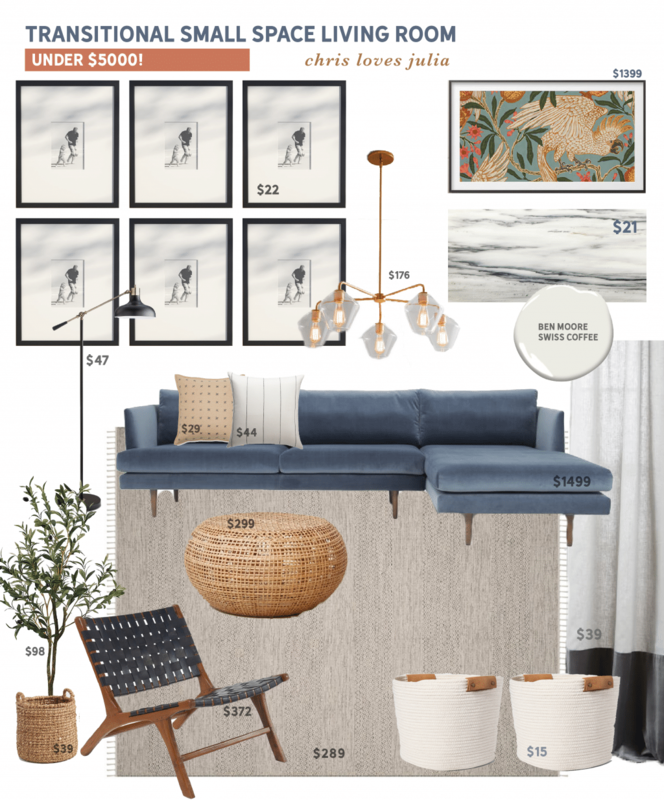 After we shared the under $2000 bedroom mood board, including how to tackle it in stages, we got so many requests for more, more more! So I started on a living room one in the same respect, but then I thought–well, maybe I should address a real living room. And I put out a call for your living rooms. Who needs some guidance! Welp, they came pouring in over the 24 hours the instagram story was live. And then I spent a week going through all 3000+ until finally I found one that seemed to summarize a lot living rooms that were flooding my inbox: Smaller with oversized furniture, lots of niches, a weird fireplace and lots of electronics. Ha! Let’s dive in! Here are some photos of our living room in need of a virtual facelift. Lots of hand me down placeholder furniture and kids’ projects left over from Christmas! The room is 15’ x 11’. 15’ is along the tv wall. The room is open to the kitchen table area and kitchen behind the sofa. The first thing I like to do, in any room I’m asked to design, is list the problem areas. 1. The furniture is too large and there’s too much of it. 2. There are too many competing focal points. 3. The niches are collecting furniture? Electronics? Let’s get everything a home. Overall, the small space feels more cramped by heavy furnishings, so I knew I wanted to lighten things up while still providing adequate seating. And the fireplace wall–that took some brainstorming. But first, let’s look at the mood board! Picture Frames $22: If you find you have a room that collects lots of photo frames, this is a great opportunity for a grid gallery wall. Hanging them all in the same sized frame will update and declutter the room instantly. I like these because they have large white mats and thin frames so they look clean and modern. Frame TV $1399: Yes, the under $5000 price tag includes this 65″ Frame TV (You may need a smaller size, measure!). The TV that hangs on the wall just like art and looks like art when you aren’t actually watching TV. If your television is hung in a prominent place in your home, I’d highly recommend it! We have one in our bedroom and we hung a second one for our A-frame. Marble Tile $21 sq/ft: For updating the fireplace, more on that in a minute! Chandelier $176: If you need a fan, by all means keep it! 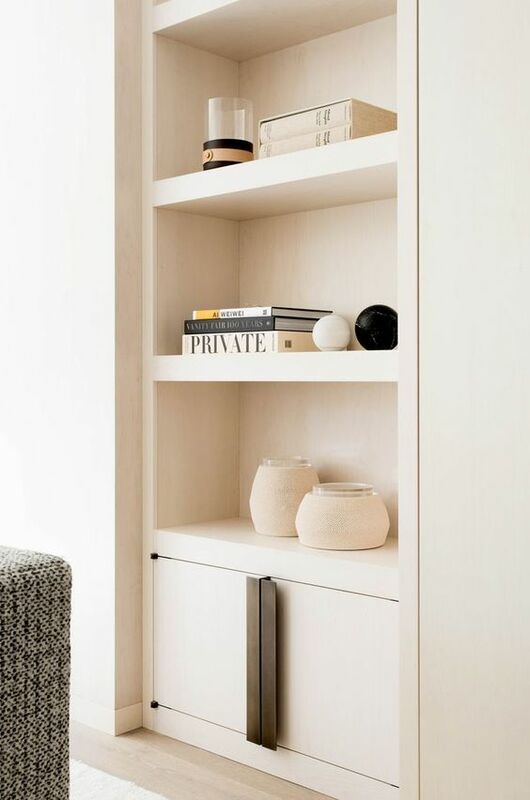 (Although I’d swap it for an all white one like this), but if you have central air, lighting is like the jewelry of the room and adds so much! 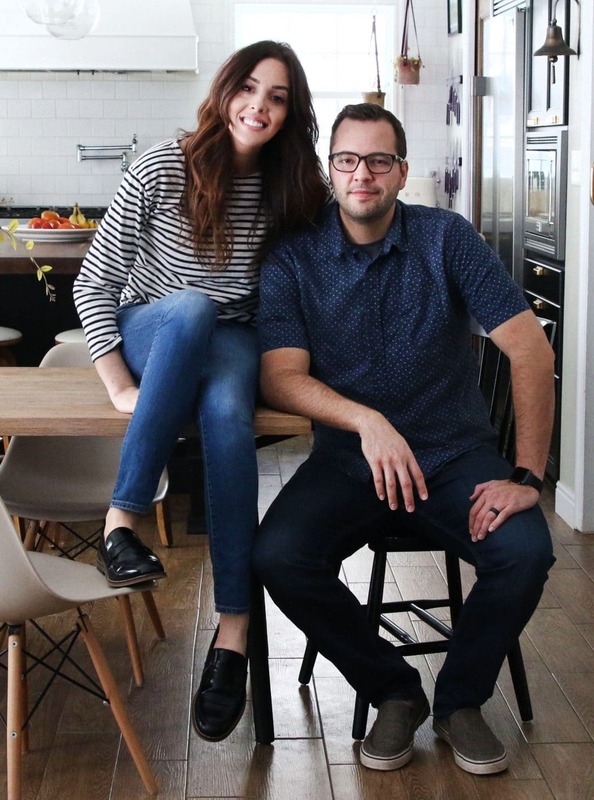 Benjamin Moore Swiss Coffee: I can tell these photos were taken at night, so it’s hard to tell the exact color of the walls, but I’d love to see everything lightened up with this warm white. Floor Lamp $47: In a tight living room, opt for a floor lamp instead of a table lamp + side table! It allows the space to breathe and flow even more. Tan Pillow $29. / White Striped Pillow $44. 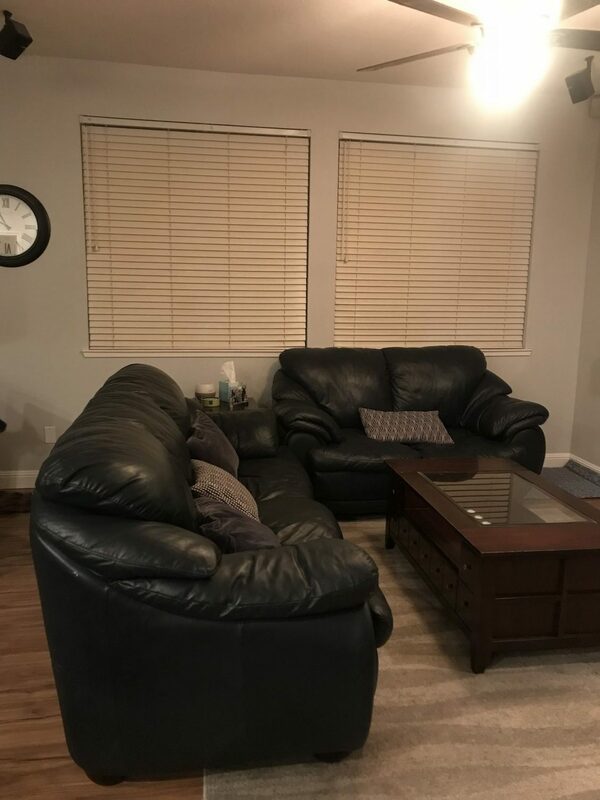 Sectional $1499: While everything else is neutral to keep the eye moving and to open up the space, I love this sectional with a little bit of color! The chaise allows ample lounging and the fabric is kid friendly! Curtains $39: If you have two windows close but separated, but an extra panel to hang in the center so they appear as one, large window! Don’t forget to hang them nice and high (about 2-3 inches from the ceiling!) to make a room look even taller. Area Rug $289: Keep the floor tonal and textural, without any busy patterns, to keep the eyes up! I’d recommend a 9×12 for this size of space. Coffee Table $299: I love the texture and airiness of this ottoman-turned-coffee table. Accent Chair $372: Having a chair facing the sectional (I imagine it near the corner where the playhouse is!) will create a conversation circle, not to mention some interest and contrast. Best seat in the house! Faux Fiddle Leaf Fig $98 (+basket): Every room needs a little green. This would make a perfect pairing with the chair. Storage Baskets $15: With kids and electronics, baskets are your friend. 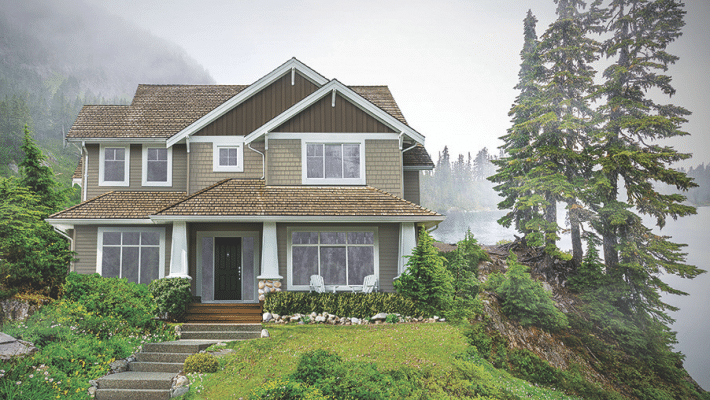 This is how we create a living space that looks great and functions for a family. And it all comes into play with a remodel of that niche-riddled wall. Closed storage on the bottom for electronics and shelves for baskets of toys and pretty decor higher up! Fortunately the niche above the fireplace is not as deep and would be easy to patch with just some drywall to make it level with the adjacent walls. That is the new spot for your television/art (if you go with the Frame). As for the fireplace, because it isn’t centered on the wall, I’d keep it simple! I love the fireplace below from 4men1lady. Michelle shares the how-to here. Good luck, Emily! And for everyone else, I hope the tips, ideas and mood board were just as valuable and applicable to your own homes! Which room should we do next? Just keep the mood boards coming! Love them, and picking out what I can incorporate in my home. A couple of things I’d be interested in seeing are a SMALL space master bathroom (how to make stylish AND maximize space & luxury in a tiny space) and also the dining room. This is great !! I just have 2 questions– 1. She (and myself included) likes to have family pictures up on display in a family room– would you keep them? Move them elsewhere to a hallway? 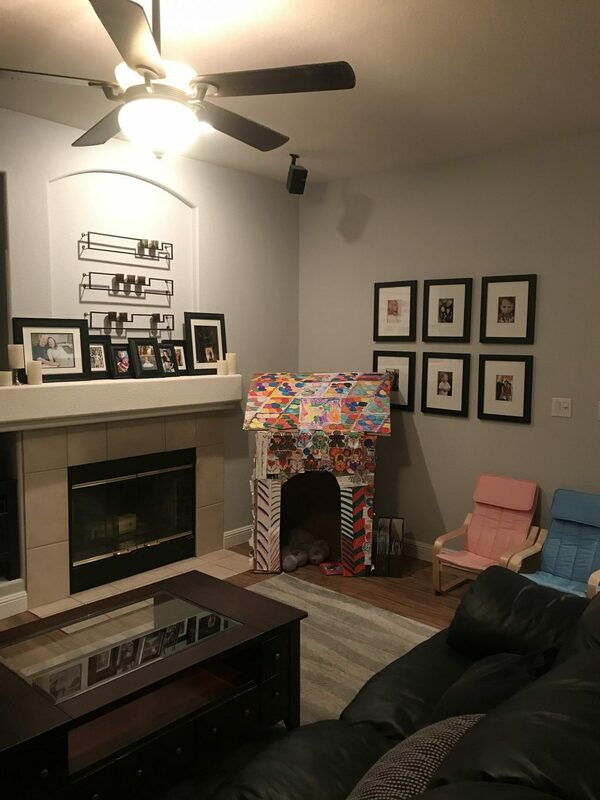 and 2–If Emily and her family do not use the fireplace at all– would you recommend removal and thus, resurface the whole wall and make it all nice and flat for their hanging “art” tv?? 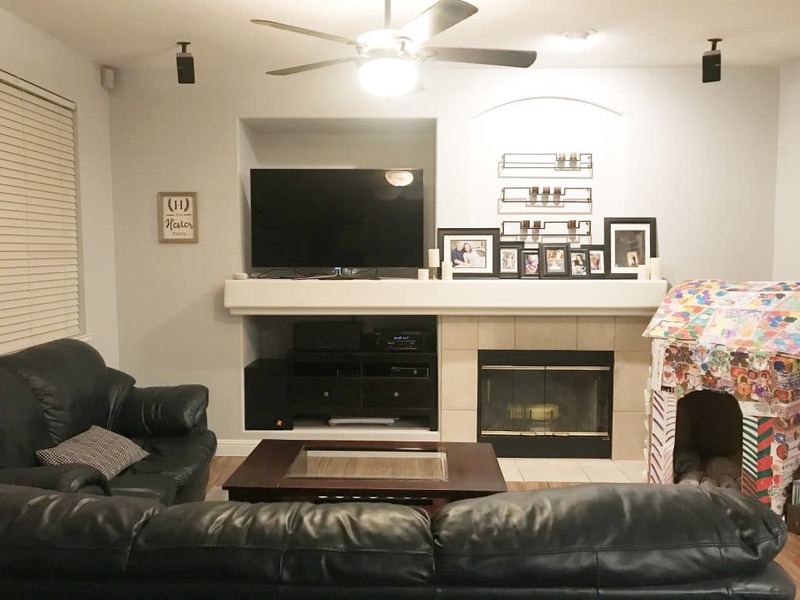 (I saw many of those family rooms in San Antonio in 2004 when I was house hunting and immediately would walk right back out because I need to have things centered and symmetry– those niches don’t allow it. Glad you got to go on the movie tour at Kualoa Ranch. Very nice! That now looks like an exciting room to be in. I noted the ceiling hung black speakers. Any suggestions for making them blend in? Can you paint them Swiss Coffee without impacting sound quality? I wouldn’t recommend painting speakers but swapping them for white would certainly make them blend in more. I hope this becomes a regular feature! The mood board is beautiful but the notes on how to apply that to a specific room with quirks and personal items is invaluable!! I love your moodboard and you’ve inspired me to make my own! Is there a free moodboard maker you’d recommend? Any ones I’ve tried can’t layer the products like you have so it’s harder to see the overall look! I love this moodboard you’ve created!! It’s fantastic!!! Noreen, I’m photoshop challenged but have had good luck using Pages on my Mac. You can download product photos, clean up the background by marking them up in Preview then layer them in Pages. It’s also free! I don’t have a mac and I don’t have Photoshop…..but I use Microsoft Powerpoint, which works awesome and is simple to use! I love all these ideas! Your troubleshooting really helps me take stock of my own living room. This is amazing! I hope that Emily does a before and after! Happy Monday! LONG time reader here. Thank you Julia, that’s my room! How fun, I feel like we won the CLJ lottery for the most design challenged room haha! Woke up and saw the post, giggling and excited to show my husband a lot of the things we had been thinking about doing but with different twists and fresh ideas. We will send photos of any progress we are able to make! Thank you again for the great ideas! Yay!!! Thanks for volunteering your space! Excited to see how it works out for you. Thanks so much! I’ve been looking forward to this post since your IG request. What’s next – I’ve got a home office and a sunroom that are literally blank slates/very empty. Would love a mood board for each! Wow, I love this mood board! I would love for you to tackle a front room (reading room) or is that too similar? Or maybe a playroom? I have a front room that doubles as a playroom/ office! I would LOVE to have some playroom and/or office design tips!